Learn to operate new office technologies as they were developed and implemented. 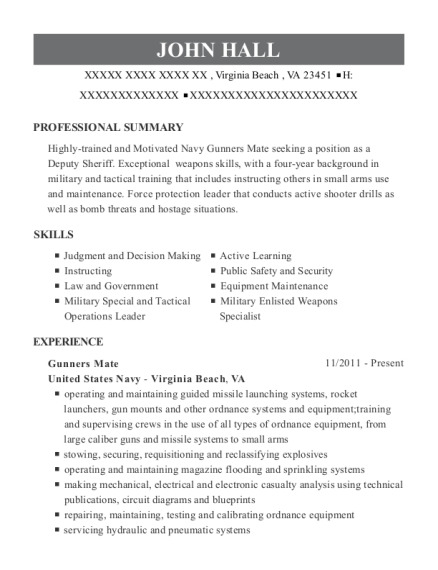 Open, read, route, and distribute incoming mail or other materials and answer routine letters. Answer telephones, direct calls, and take messages. Collect, count, and disburse money, do basic bookkeeping, and complete banking transactions. Maintain and update filing, inventory, mailing, and database systems. Open, sort, and route incoming mail, answer correspondence, and prepare outgoing mail. 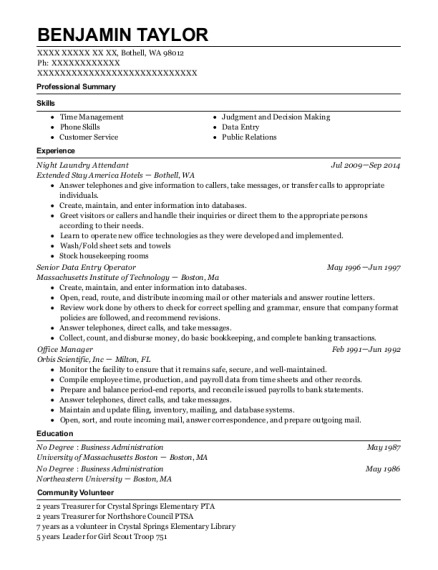 This is a resume for a Night Laundry Attendant in Bothell, Washington with experience working for such companies as Extended Stay America Hotels and Massachusetts Institute of Technology. 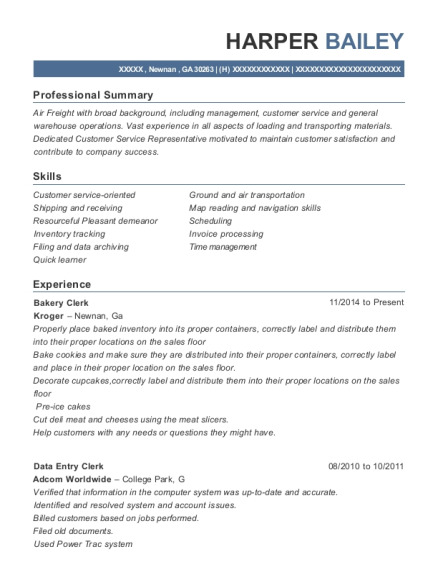 The grade for this resume is 0 and is one of hundreds of Night Laundry Attendant resumes available on our site for free. 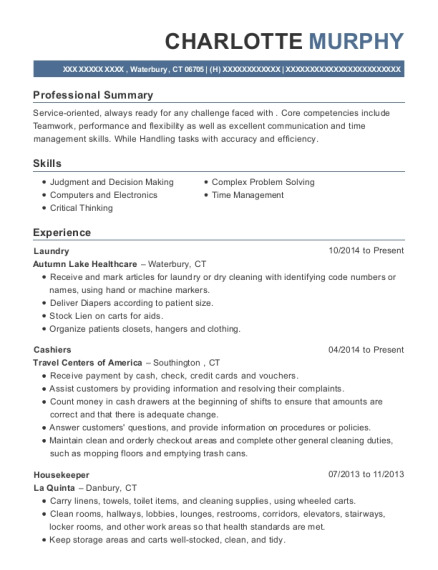 Use these resumes as templates to get help creating the best Night Laundry Attendant resume.